For those of us watching, the last two years have revealed a very clear new superstar in the country’s progress toward protected bike lane networks. It’s the Emerald City: Seattle. 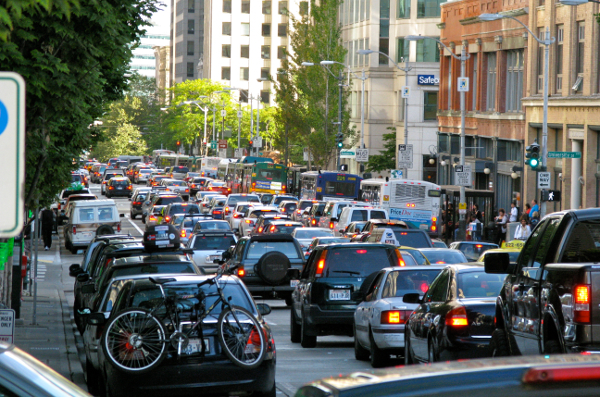 As we’ve written, Seattle heaved through a significant “bikelash” a few years ago. And (much like NYC before it) it’s discovered an ocean of political support on the other side. 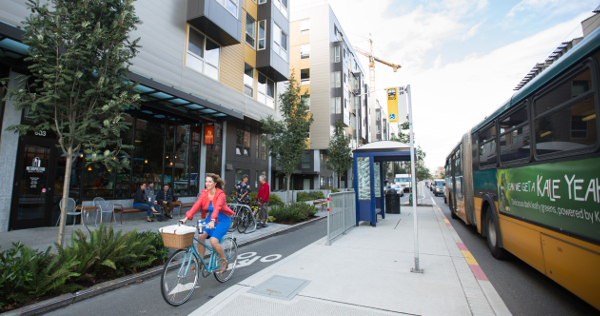 On Tuesday night, the city’s voters did something remarkable: By 56 percent to 44 percent, they approved a property tax increase that will spend $65 million on a 50-mile protected bike lane network and a 60-mile neighborhood greenway network over the next nine years. 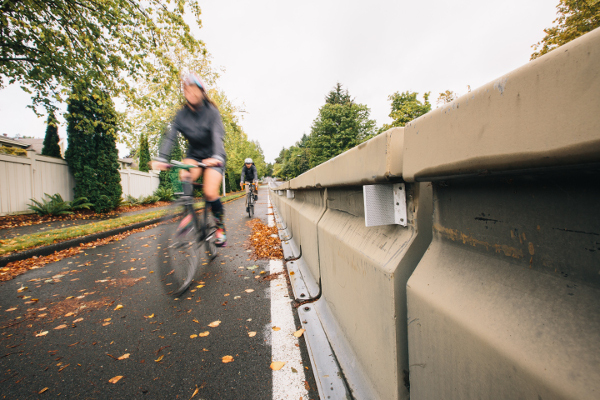 It’ll also put $71 million toward Seattle’s goal of eliminating serious and fatal crashes, $15 million to repair 225 blocks of damaged sidewalks, $250 million to maintain existing roads, $140 million to maintain existing bridges. The project list goes on. But it never stoops to the mistaken claim that a fast-growing city can fix its transportation problems by building more and more lanes for cars, always hoping that the next lane will be the one that never fills up. 2nd Avenue in 2009. Photo: Oran Viriyincy. A week ago, the conventional wisdom was looking bad for Move Seattle, as the program is called. The Seattle Times blasted it in an editorial, saying that it’d be impossible to “ease the city’s intractable gridlock” without “big fixes” that would knock down parts of the city to make more room for cars. It was also, the Times said, too expensive. “Move Seattle would cost the owner of a $450,000 house about $145 more a year,” the Times shuddered. A single major property owner, Faye Garneau, bankrolled the “no” campaign, personally donating $325,000 to the effort — 96 percent of its funding and enough to outspend the “yes” campaign. Most of her fellow voters, it turned out, disagreed with her vision of what was right. A protected bike lane outside Seattle Children’s Hospital. Maybe the Times’s call for “big fixes” reminded Seattle voters of the $80 million drill, the largest in the world, that’s currently sitting beneath their downtown. The new freeway tunnel it’s drilling was supposed to open this year; instead, it got stuck behind an eight-inch underground pipe and spent two years burning a hole in voters’ pocket. The megaproject is currently 12 percent complete. Maybe Seattle voters were put off by Garneau’s involvement. On Tuesday’s ballot, they also passed a measure to publicly finance local campaigns. Or maybe Seattle just weighed the costs against the benefits and decided that it was worth spending a little money to live in a city where roads are safer and driving is optional. 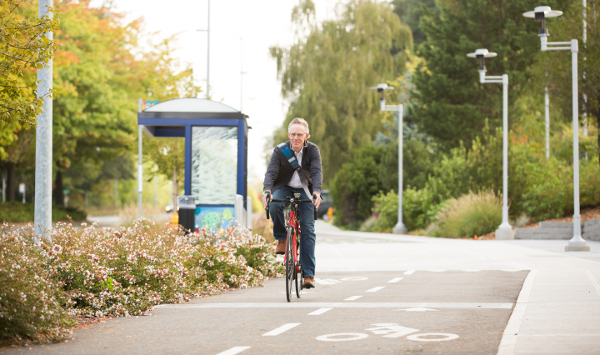 The roads levy was pitched as the policy to usher Seattle into a new era of green urbanism. Its intent is to bring more transit-only road lanes, more bike lanes and more road diets for cars. All of this has been controversial but just got endorsed, big time, by city voters. For Howell and his colleagues, Tuesday’s vote was the climax of four years of planning. They began with a round of focus groups and polling in 2011 and 2012 that identified appealing ways to talk about transportation, and organized five teams of volunteers around the city who were enthusaistic about projects in their areas. On more than 1,000 total volunteer shifts, Move Seattle volunteers placed 81,000 calls to explain the measure in more detail than a radio ad or mailer. 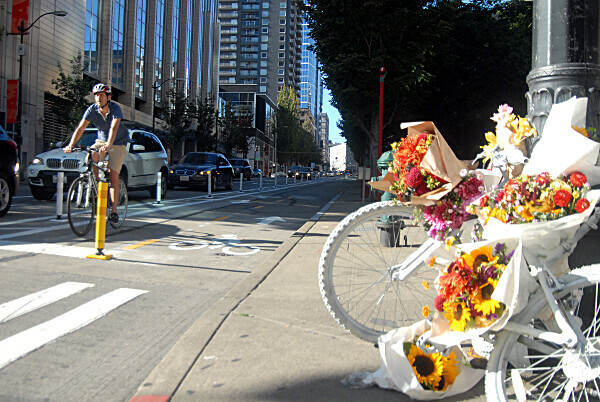 A ghost bike memorial for Sher Kung, who was killed on 2nd Avenue a week before the installation of a protected bike lane whose signals could have saved her life. Tom Fuculoro, the publisher of Seattle Bike Blog and a vocal supporter of Move Seattle, wrote a moving article Wednesday that traced the history of Seattle’s remarkable new direction back to a series of tragic deaths in 2011. When young Robert Townsend was killed while biking deliveries in the U District … Seattle’s grief and pain and anger finally boiled over. It was too much. People shouldn’t die just for trying to get around our city. Whatever our society thinks we’re getting in return for all these deaths isn’t worth the horrible cost. Not only can we end traffic violence, we realized, we have to. That’s why the day after initial returns show the Move Seattle levy passing with a solid margin, I’m sitting at my keyboard trying to type this story through a stream of tears. The path from July 2011 to passing a measure that will invest at least $400 million into an unprecedented effort to end traffic violence — the amazing bloom of genuinely grassroots Seattle Neighborhood Greenways groups in all corners of our city, the Road Safety Summit that crafted our city’s first plan to end deaths and serious injuries, the remake of the Bike Master Plan that lays out the path to crafting safe streets for people of all ages and abilities — was paved by the lives of people who did not need to die. 1. Center City Bike Network. Build it. All of it. All of the blue lines. Call it a pilot project, but get it done. Seattle’s downtown bicycle infrastructure for All Ages and Abilities is an embarrassment. Let’s put our best lanes forward for NACTO. 2. Rainier Ave South Protected Bike Lanes. If Shirley and Adam can build 2000 feet of protected bike lanes that are safe enough for a four-year-old to ride a bike on between Hillman City and Columbia City in one day with chalk, green butcher paper, and orange cones, SDOT can link up these two Rainier Valley communities this year in time for NACTO. 3. Safe Routes to School. Let’s make sure we can take our NACTO visitors on walking tours where we’ve transformed the school walk zones around ten of our schools in historically underserved communities. We’ve got more than 100 School Walk Zones to improve to All Ages and Abilities standards. Let’s get to work! 4. Roll out the green carpet in South Lake Union. Of course NACTO officials will want to see the beating economic heart of Seattle. Let’s make sure it is accessible for people who walk and bike. Westlake Cycletrack is likely to be nearly complete by 2016. South Lake Union needs to connect east west and to downtown. Can we actually show off a walking / bicycle network that knits the city together? As we watch where Seattle goes from here, that final question will be at the top of our minds here at Green Lane Project HQ. Our money’s on “yes” for this one, too.